Moving a home can be a tough task at the best of times, even when you're properly prepared for it. There is a lot of hard graft to take care of, like planning the journey, arranging and hiring the equipment that is necessary, and of course the whole business of packing. Everybody who has headed a removal, or even taken part in one can testify to the hard work that's needed. So the best piece of advice that can be given is to make the process as simple as it can possibly be. The first step of getting your relocation to Primrose Hill, NW1 done easy is to hire some convenient removals services – and the best around comes courtesy of Moving Service! Our team of home removal experts will help you with every piece of the moving puzzle. 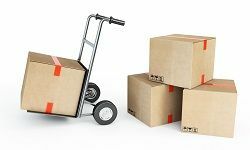 This means the packing, unpacking, transportation, furniture removal and so on will all be taken care of with peerless efficiency. Besides, our office removals services within NW2 area are affordable as well. So it's not just families and home owners who can use our services, we also provide services that cater for student removals. For more information, just give us a call on 020 8746 4402. Moving to Primrose Hill Today! The area is a district in Camden, North London. It's part of the NW1, NW3 and NW8 post code areas, and is a very sought after place to live. It gets its name from the two hundred and fifty six feet tall hill that stands in Regent's Park, and the breathtaking views from its peak are just one of the reasons for this area's popularity. The hill in question provides a top level view of Central London, as well as some of Northern London like Hampstead and Belsize Park. Though, because of the quality of life within the area, you won't find yourself looking outside that often. It is a very upmarket district, and its shopping areas are fashionable and high class to reflect this. There is, quite frankly, a great deal to be offered here. As a place to admire, the area is fantastic, but as a place to live in it is even better. All of the housing is of high quality, as well as the shopping areas and services on offer. Of all of the upmarket areas in London, this area is the prime pick. It is the perfect urban village. Home Moving in Primrose Hill – the Easy Way to Move! With a reliable removal company in Primrose Hill, NW1, you're putting your move in the hands of professionals, and that's definitely what happens with Moving Service. You will save yourself a lot of work by getting in touch, because our moving professionals will help take care of all of the time consuming tasks, and ensure that you have a safe and enjoyable journey. With us in town, that's what you will get –house removals in NW3 area provided by us are of the highest quality. So with us, you're getting the complete moving package. A simple and easy way to hire a service with dependable moving staff, which provides peace of mind! All of this comes at a price that's easy to handle. Give us a call on 020 8746 4402 for more details on our range of convenient removal services within Primrose Hill.